Over the course of 4 months, a portion of every vehicle we sold (with the goal of selling 1000) would go toward donating a total of $50,000 to the IWK to help with equipment and services. 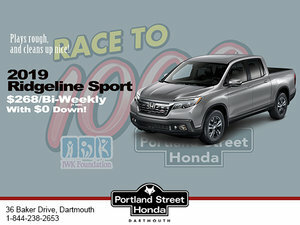 Last August, Portland Street Honda concluded its 4th annual Race to 1000 in support of the IWK Foundation. Over the course of 4 months, a portion of every vehicle we sold (with the goal of selling 1000) would go toward donating a total of $50,000 to the IWK to help with equipment and services. 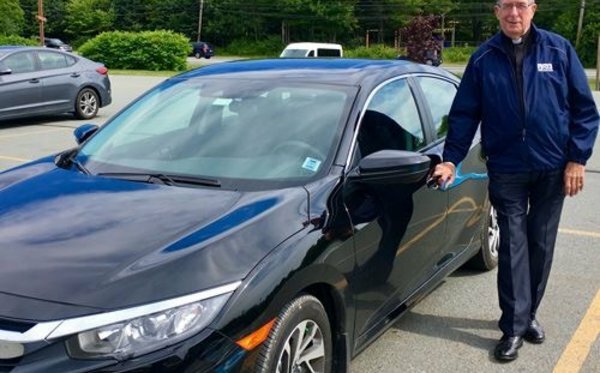 Only moments after signing the paperwork, Deacon Bernie received a call informing him that the IWK Trauma Crisis Team (of which he is a member) was needed at the hospital right away. “When that happens, you have 40 minutes to get there" he said.